For selective robot conformal coating process the design rules become even more important. After all, the process is normally used for medium or high volume processing and any improvements in the coating process can make a major difference to costs. Conformal coating material to be used, its viscosity and any other process details. Application method to be used for applying the coating. The masking details if required. Coating thickness requirements. 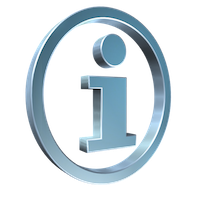 The inspection criteria that the circuit board is to be inspected to including any Standards to be referenced. Maintain a minimum 2.5mm distance between MUST coat areas and MUST NOT coat areas. If you do not define a sensible space then it may not be possible to prevent the liquid flowing into restricted areas. Try and group all components of similar heights within the same general area of the assembly. This minimises the changes in dispensing height, enabling the machine to run efficiently at optimum speeds and give you the best coating coverage. 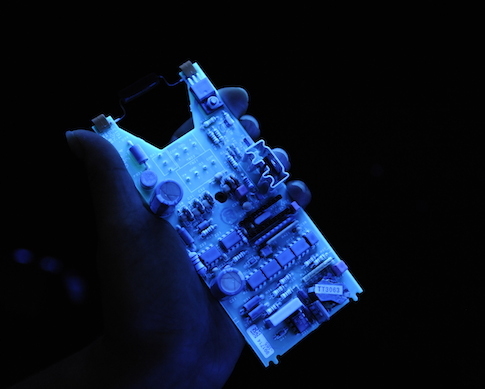 Applying conformal coating around 3D components can require careful programming to avoid valve crashes into the circuit board. Understand that through-hole components have a very wide range of placement orientations, and if used on a PCB, the drawing must cover all possible orientations of the devices, plus 2.5mm optional coating area. This is to ensure you coat the component leads, wherever they may be positioned. 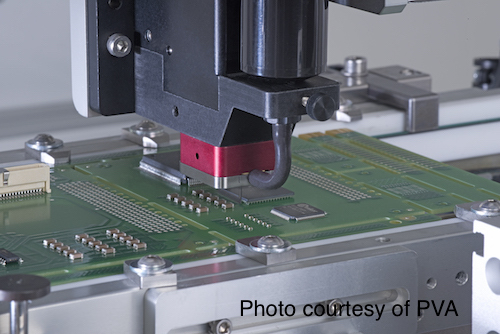 CTE mismatch issues could arise if a conformal coating is used as an underfill. Its good practice not to do this. Use a dedicated underfill material. 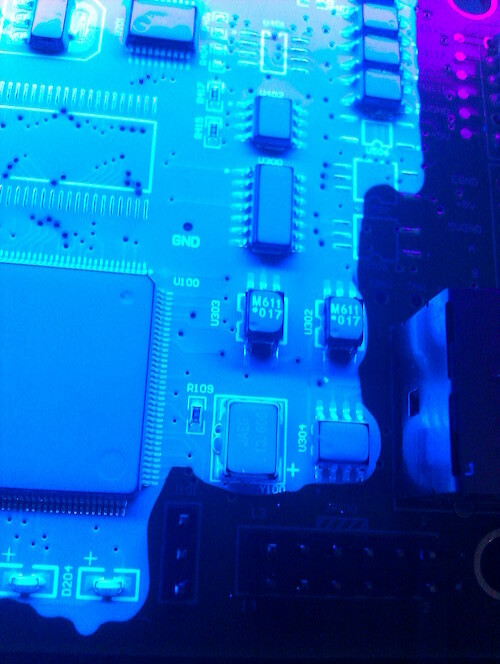 Do not specify the use of conformal coating as an under fill. If a device needs to be under filled, specify a formulated under fill. 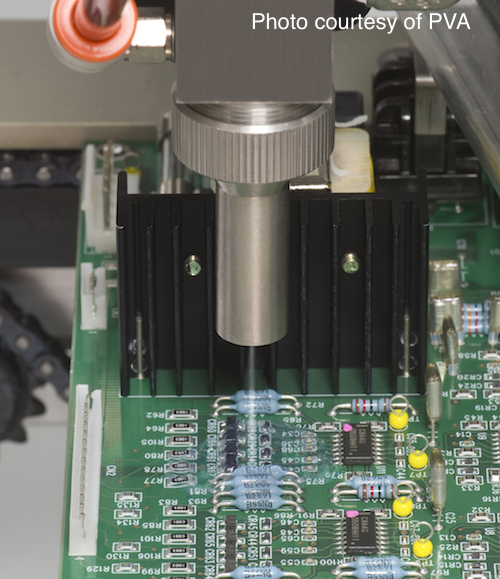 Filling the via’s on a circuit board for conformal coating application and prevent coating going through to the other side and contaminating components. 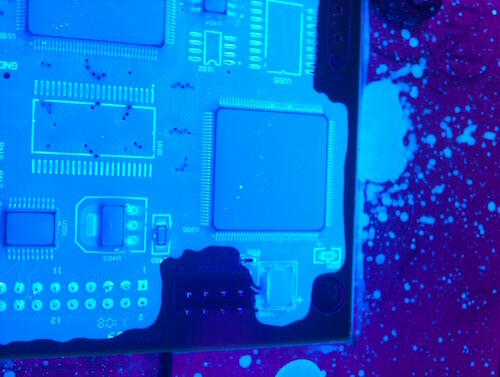 If the via’s are not blinded (filled) then it is possible that the conformal coating can leak through and result in coating restricted areas on the other side of the board. If the board is not a standard shape then it may need to be supported on the fixture or conveyor. If the board is not supported it may not be level or straight when the coating is applied which can lead to many different problems. When coating multiple PCBs in a biscuit configuration, ensure you seek input from production engineers regarding orientation to optimise robot path and valve operation. Having to stop and start often and/or change dispense height reduces your throughput massively and the coating can be deposited poorly. The board should be flat and sufficiently rigid to prevent sagging during dispensing or curing, otherwise coatings may flow and pool in unexpected fashions. In particular, heavy boards may need to be palletized to provide sufficient rigidity. 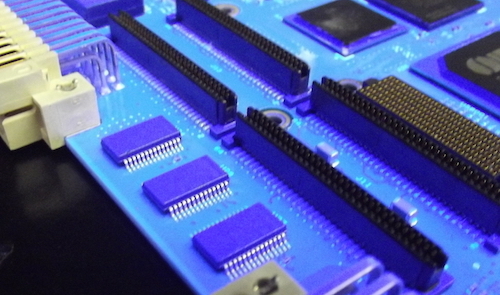 Use conformal coating gel around connectors if possible before applying the spray coating if you want to get close to connectors. 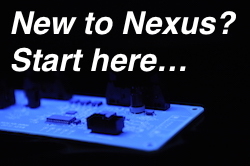 Conformal coating materials will flow freely into unsealed connectors and wick up connector leads. 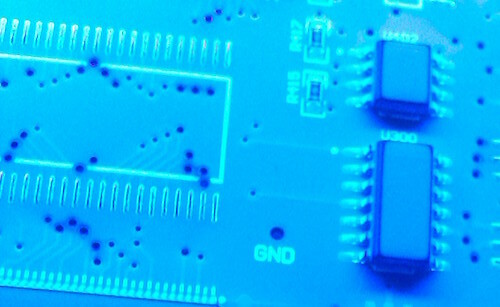 Coating edges of a circuit with conformal coating is not easy. Decide if you actually need to conformal coat them completely? Coating the sides of a 3D device is difficult for a robotic system, especially since the coating is subject to gravity, as well as de-wetting due to mould release agents used in the component fabrication. Can you help improve this section? 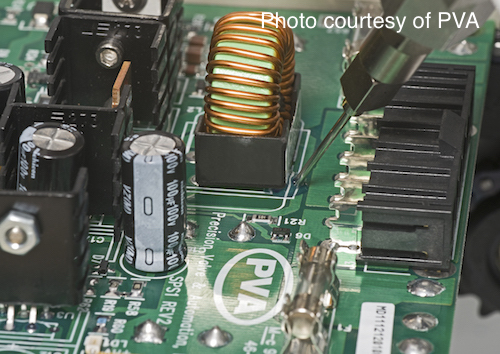 Do you know a Design Rule for selective conformal coating that could help others? Tell us now and we can add it to the list.